Dominic Anthony spoke with Josh earlier this month. The interview can be found on KRTU’s website for a limited time. This interview has been edited for clarity and length. Dominic Anthony: Can you give me some background on Vansire? I understand you and Sam met in drumline. How did that come together, and why did you guys decide to keep the project going after high school? Josh Augustin: We met in high school, and we were both band geeks. We were just playing drums together in a lot of different contexts, like marching band, percussion in our concert band, drumline, jazz band, and I think over the course of that time, three or four years or whatever it was, we developed a really special musical synergy, and he’s just a guy that I really like to work with. There’s never really been a point where we thought it would be logical to cut it off. We’re kind of just enjoying ourselves, making music. So we just kind of kept at it, and it seems with every release it gets a little bigger than we anticipated. 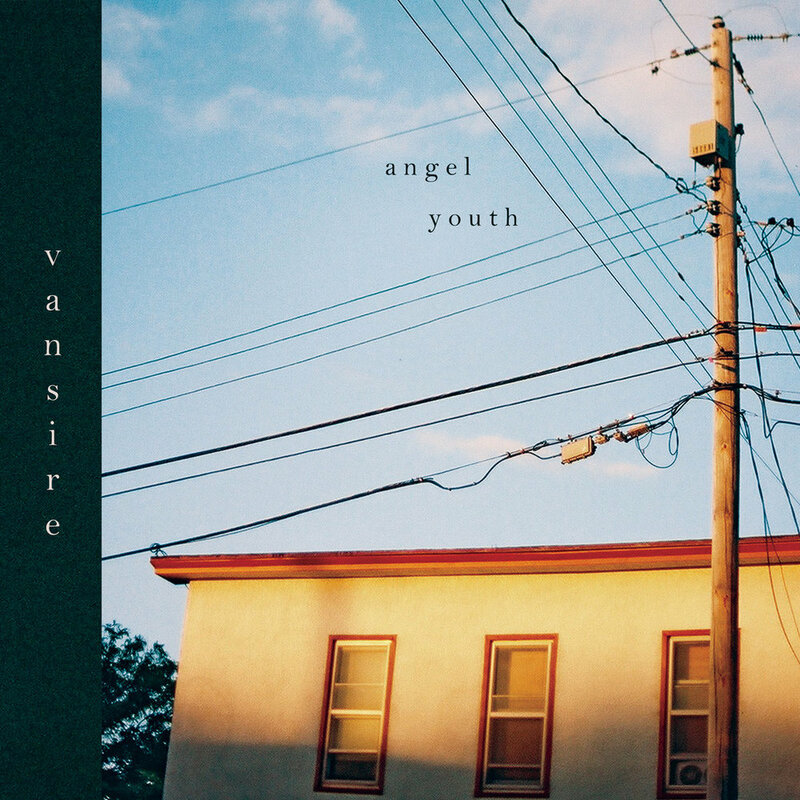 Vansire released Angel Youth earlier this year. The album features multiple collaborations with other artists. DA: Do both of you share a formal musical background as your introduction to music? JA: Well, that was the context that we started playing music together more, kind of school band-type stuff. Right now, I’m going to the Oberlin Conservatory, so a lot of my studies have been kind do footed in a traditional sort of, a lot of theory a lot of compositional study, things like that. Sam is studying architecture right now. I don’t think it was so much the nature of the music we were playing, just being in that space in that time of life that really brought us together. He’s my best friend, and we kind of work together in a way that I don’t feel like I can work with a lot of people. DA: Do you kind of hit pause on the collaborative aspect of the project whenever you’re in Ohio and Sam is in Minnesota, or do you guys continue to work together during that time? JA: We kind of keep rolling along with it, just a little more individually. When we’re apart, it’s more like, Sam will maybe email me some guitar stems or some bass stems, and I’ll do some synths over here or some mastering or things like that. Actually, for Angel Youth, we recording a big chunk of it over the summer, and I pretty much spent the school year continuing to master and add additional parts, and Sam would send me things he wrote. It’s not as efficient, but we continue to get it done. It’s pretty much a year-round deal, and we just work a little harder. DA: I imagine the DIY aspect of your recording is really important, given the distance and the flexibility required by that. Were these DIY roots initially something you were interested in or was it more a result of necessity? JA: It was entirely circumstantial. I mean, when we started off, we literally didn’t have anything. We made the first song on GarageBand on an iPad. It was an incredibly janky set up. It hasn’t gotten a whole lot better since then. Usually we use a USB microphone. We only started using a direct interface recently. I think a lot of people don’t realize how extremely bad our set up is. It’s a result of circumstance, but like, in a lot of ways, that informs music along the lines of compositional choices, a lot of the sounds you hear are the result of cheap synths we had or particular pedal that we were using, and that’s kind of inadvertently characterized the sound we bring to the table, so that’s kind of something we’ve stuck with, and honestly at this point, I don’t think that I could really see Vansire going into the studio because we just sort of have a process down that makes sense for us. DA: Was the evolution of your sound intentional or something that just kind of happened from 2015 to the present? JA: I don't think it was particularly intentional. It was just pretty much what we were inspired by at the moment we were listening to and what we like. The earliest stuff I could very easily lump into the category of Beach Fossil-rip off. I think it’s gotten a little darker as we’ve gotten a little older and more jaded. Not that we’re much older, but it’s kind of gone from a pretty funny aesthetic to something that more directly mirrors the landscape we’re from. I think the places we’ve been an the time in our lives have been what informed the evolution of our sound. It’s very much mirrored where we’re at in our lives, literally and geographically and emotionally. DA: Do you consider The Rolling, Driftless North to be a breakout record? JA: I think the first time we noticed more people listening was with the song “Driftless” off of that EP. I remember I had just wrapped up my first semester of school, flew home, Sam had this little guitar memo going and in a couple of days, we put that one up and it ended up on this YouTube channel Lazy Lazy Me, and that was the first time we were picking up any significant streaming at all. DA: Did knowing more people started listening to your music change the way you approached writing and recording? JA: Initially, no, because we’ve kind of watched this unfold from our dorm rooms. It’s pretty wild to look at Spotify statistics, but it’s also frustratingly intangible. It’s strange, but also it doesn’t mean a whole lot. That’s why it was wild being on the road this past summer and encountering real individuals for whom this music is an important thing. So now, i definitely feel a little more intimidated, working on the material thing. Like, wondering about how this is going to be perceived on a larger scale. It’s grown, and we’ve been in this insulated space, and it didn’t really play into this creative process until now. I think of “That I Miss You” as kind of an experiment. Post-Angel Youth releases are interesting because we sort of watched how things went in terms of streaming and reception, and I’d say the album has done pretty well, but it’s striking, the way how people don’t consume albums in full-length format. It’s understandable but also a little frustrating, given that’s how it was structured, for complete-listen. There’s a lot of nuance put into that kind of approach. We decided to just drop the new single, make it short, see how it does, and that was the thought process going into it. In the video, we decided just to dance to it. The premise was to dance but make it the worst, dumbest-looking, easiest dance but try really hard and make it look like we care a bunch about it. And then we posted it, and people loved it. I will never take for granted that we were able to post a dumb video and people took it so seriously . DA: One of the differences in your approach to The Rolling, Driftless North is that a few of the tracks had already been written ahead of time. Can you pick a track off that EP and give me some insight into the writing and recording process? JA: The songs “Eleven Weeks” and “Four Portraits” are songs I started working on while still at school, and this was kind of the first time we were dealing with making music in different places. Usually, we build our songs sort of structurally off a series of riffs or chord progressions. That’s the general idea, but with the song “Eleven Weeks,” I was just playing outside my dorm room, recorded some individual parts there and flew back, and we added the final parts. And the same thing happened with “Four Portraits.” The seeds were sort of planted separately, and then we came together. For the most part, it’s emailing a lot of files back and forth. At this point we’re kind of just used to it. DA: There are a lot of good collaborations on this new album Angel Youth, even Mellow Fellow from the Philippines. How did these collaborations come together? JA: That was pretty wild. It was pretty much just sending things back and forth. We never actually met any of those people. The one person we did actually meet was Chester Watson, and that was after the fact. I had been hitting him up about a separate project — I do fair amount of beat-making and stuff like that — and I stuck a couple YouTube links to some Vansire stuff at the bottom, just to, you know, try to appear more legit, but he heard the Vansire tracks and liked those and actually wanted to do something with that project, and so that’s how the song “Star Catcher” was born. We built the tune specifically with him in mind, and he busted out this incredible verse in a very short amount of time. Then we started hitting up anyone we thought would sound good on the track, and it was this insane thing where pretty much everyone we hit up wanted to work, and we did it all via the internet. DA: One of the more layered collaborations on this album is “Lonely Zone.” You have Mellow Fellow, Ruru and Paul Cherry. Had you heard Paul Cherry’s Flavor, and then hit him up or had you heard his old stuff? JA: We heard his old stuff. We just thought he’d be a cool person to have on there, and he was very down to work together, which was really exciting. I don’t think he had done like a feature of that sort. It was kind of an unconventional approach to a song and to a genre, too. I was really stoked about his willingness to experiment. Another collaborative song is “Wonderland,” for example. It’s one of my favorites from the album. That track has a funny story to it because it’s about an early gig we played a couple summers ago. We were at this weird venue called Wonderland in Minneapolis. It was like a converted industrial space that had been converted to a mini golf course and bar, really weird spot and one of the first shows we ever played. We rolled up, played our set, and it was going pretty well, and then this other band from Minneapolis who I’d never met, rolled up into the crowd and went up to the front row and sat down and stared at us. I don’t know if it was some sort of power move or like intimidation, but I was really psyched out. This track was kind of in response to it. We were trying to catch like this momentary surreal scene of a crowd in this weird space and dealing with playing live for one of the first times. With the collaborations, we kind of didn’t set any parameters or expectations and just let them do what they felt like. The full interview can be found on our website.